Download template(WPC, ai, dxf, eps, pdf and SVG files included in download) and use your die cut machine of choice. This can also be printed out onto card stock and cut by hand with an X-Acto knife. Cut ten pumpkin patterns for each pumpkin papercraft. Cut as many of the beautiful pumpkin leaves from the leftover cardstock as you desire. Use the embossing stylus or bone folder to score realistic looking veins into the leaves. Curl edges to give leaves a realistic look and feel. 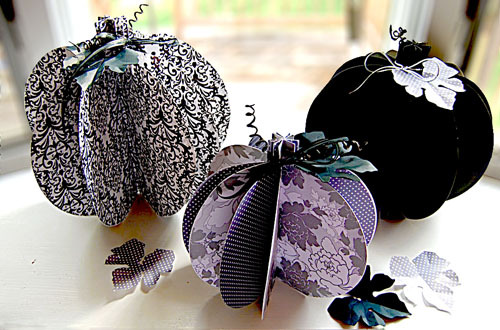 After you have glued the first and last pumpkin shape in place, arrange the pumpkin into a circular shape, and tie a black ribbon bow around the “stem.” Tie silver cording around your black pumpkin. 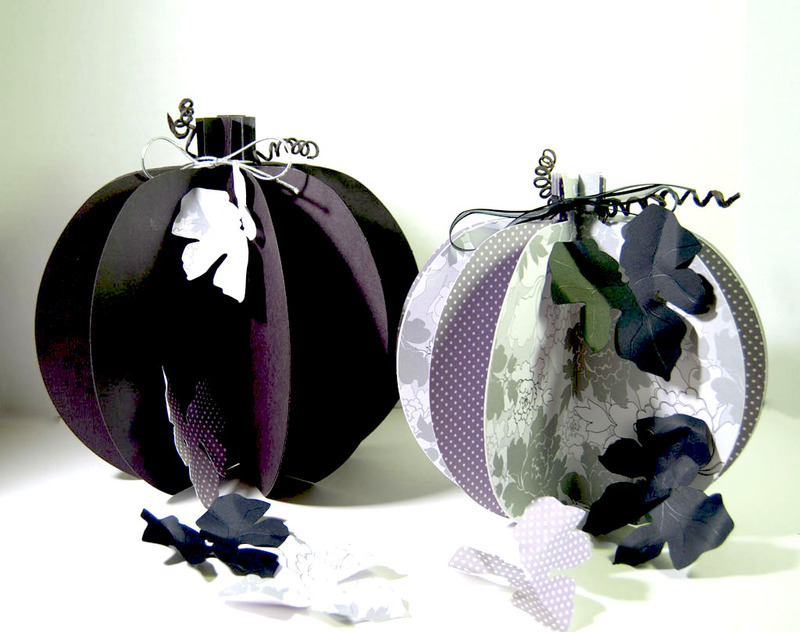 Glue leaves around stem and place randomly around the pumpkin.Enjoy your elegant and beautiful paper pumpkin display!